In 2009, Art & Design faculty member Dr. Crystal Hui-Shu Yang received a University grant to visit Wang in Inner Mongolia. Yang then invited the paper-cutting artist to UND through the Department of Art & Design’s Visiting Art Program. 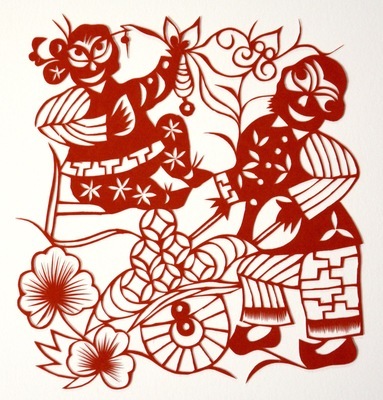 Wang’s paper cut, was made specifically for the artist’s UND solo show that coincided with the Chinese New Year in 2010.